In the fourth book of the Spencer Funeral Home series, we find there is a serious outbreak of flu in the region. Funeral homes have been deeply impacted as there have been many deaths. Jennifer has been named the area coordinator and has additional duties that are putting a lot of stress on her. This impacted both of funeral homes and several employees are ill. This has caused staff shortage adding more stress. Most of the businesses, schools and other activities have been canceled. Police are affected and. Lawless gangs roamed the area adding to the problems. Janice J. RichardsonIn one instance, the director of Williams Funeral Home is murdered. This is a good illustration of what can happen when a disease affected an area. At times I was sad as acquaintances, employees are among the victims. How does Jennifer handle the extreme stress? I recommend this book. 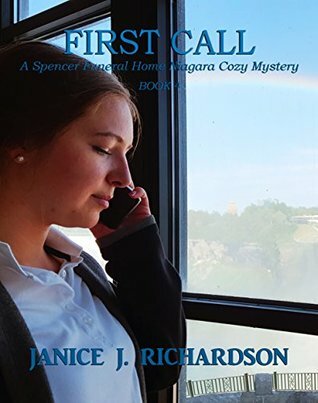 This entry was posted in Books, Uncategorized and tagged cozy mystery, Flu, Janice J. Richardson, Jennifer, Lawless, many deaths, Spencer. Bookmark the permalink. Sounds a bit different for a cozy. Unfortunately, epidemics can occur despite our medical sophistication. I had never thought about the resources like funeral homes that would be affected. Until I read this, This was more of a novel than a mystery. I never realized how an endemic would put a stress on funeral homes.